Huemor Designs knows that true search engine optimization requires more than an intimate knowledge of current algorithms. They believe that effective digital marketing requires a balanced approach that balances the needs of users with other tactics. In addition to comprehensive SEO solutions, the agency also offers consulting and strategic services to help businesses navigate the demands of an evolving marketplace. 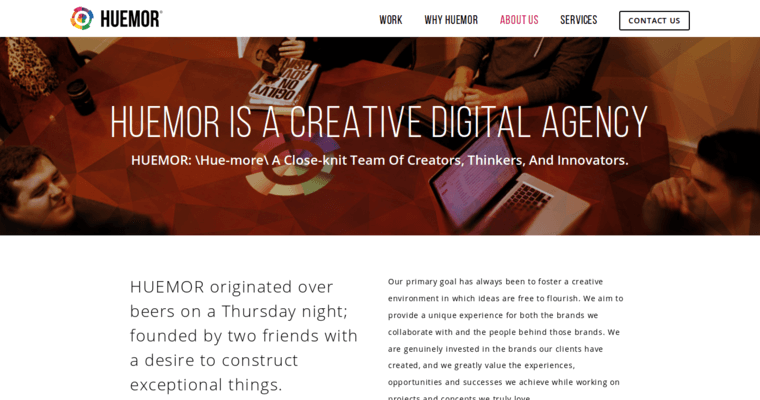 Heumor Designs focuses on practical and results-oriented solutions that have concrete value to their customers. They get all of the relevant information up front so customers can figure out whether their services are right for them or not. With everything from one-on-one consulting to complete competitive analysis, clients can rely on Huemor Designs as one of the best digital agencies out there.